The thrill of the road. The need for speed. Taking control. All these phrases apply to race car drivers and RC drivers alike. Vroom! Are your children like mine? Do they love gaining control of a remote control race car? My children — girls and a boy, tween and little kid — love remote control race cars. It’s the control. And the fact that little kids love cars, but are years away from getting behind the wheel. Kids love taking charge with a remote control car, like the Road Ripper. 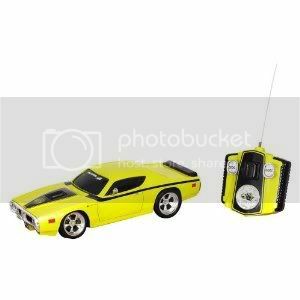 Toy State have an impressively detailed line of remote control race cars for all ages. 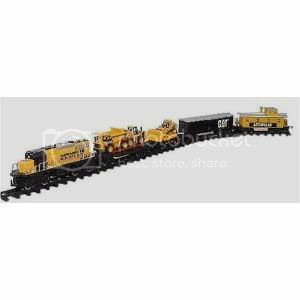 For Kids 5+…the super cool CAT Construction Express…combining your child’s love of trains with construction equipment! Kids 7+ are ready for a more sensitive remote controlled car. More dexterity and skill is needed for the Road Rippers Motor Muscle cars. My son (7 at the time he tested the car) found the car easy to use once he played with the remote control. He zipped the car from room to room. The car is light and ideal for indoor play on a rainy day…little to no chance of denting baseboards. My son played with the Road Rippers Muscle Car during the 2010-2011-winter-that-would-not-end. Aren’t you glad it is finally spring? Choose from a line of cars, including Muscle Car, Mobile Command, CAT Construction, and Arena Rocker. Purchase from amazon…see above for links to buy these RC cars through my amazon account. Good fun on a rainy day or any day. Expand your child’s fun with a cool, online game… My Motor Island. My son’s Road Rippers car came with a code for My Motor Island. This board was officially too much excitement for my crew. Each of the kids had a go. My tween was the most adventurous. She’s a skateboarder. She rode is at the top of the driveway hanging on for dear life to the door frame of garage. That’s about as far as our family got test-driving the Shred Sled. The Shred Sled Dual Deck Caster Board is available in the cool, shiny red that we reviewed, and blue and block. It’s hard to describe…but looking at the photo you can see that the board is actually two ovals connected by an articulated pipe. 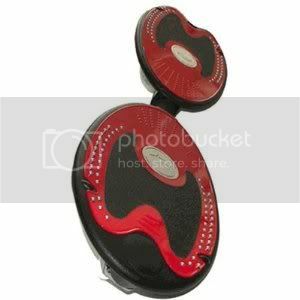 Each oval piece has two heavy-duty casters on the base of the board. The kid stands on the ovals, balancing on the ovals, while trying to keep the pipe off the ground. It was the wobbly-ness of the board that made my kids nervous. I suspect that once kids master balancing on the board instead of teetering and falling off, the Shred Sled would be a test of balance. Never mind reading my convoluted description…just check out this link to cool videos of people doing stunts. I would recommend this board for serious skateboarders. Anyone starting out with skateboarding should probably go with a traditional skateboard. Purchase the Shred Sled Dual Deck Caster Board from amazon for around $59.95. Shred Sled is also available at KMart, Dicks’, and online. I was sent one Road Rippers RC Muscle car and the Shred Sled for review. The views expressed in this post are my own. I follow the tenets of Blog with Integrity.